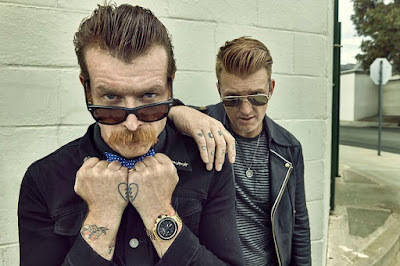 Eagles of Death Metal are still in a hotel in Paris with guards following the terrorist attack. Frontman Jesse Hughes' family talked with FOX Carolina about the tragedy. Mark King said: "The tragedy is awful, the deaths are awful, the reason it happened is unexplainable, but if anybody takes anything good away from this, is that a good person survived, and will never ever forget it." King said: "From the King and Hughes family, what we would like to say to the people of the City of Lights, we’re heartbroken over it too, because these people were the people who loved our cousin. And the other people who were victims of the tragedy, our heart goes out to them. We can only imagine how they feel, we almost lost our cousin, and it almost killed us thinking that he might have passed away."